Violence in the Dalit Bharat Bandh protests was provoked by Yogesh Verma, who represented Meerut's Hastinapur in the state assembly, police said. 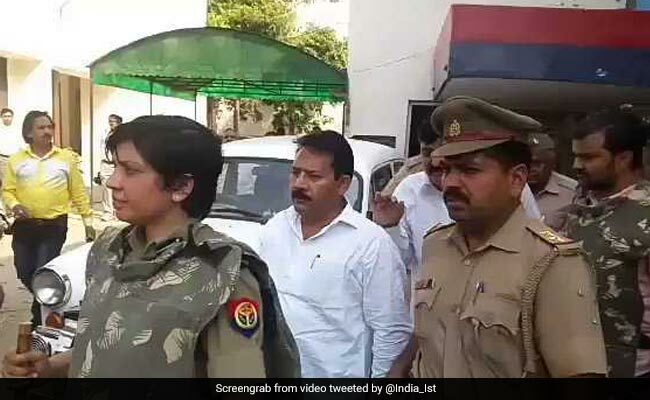 After violent protests by Dalit groups, in which two persons died and 75 people were injured, the police in Uttar Pradesh blamed a former legislator belonging to the Bahujan Samaj Party of Mayawati, the state's Dalit powerhouse. 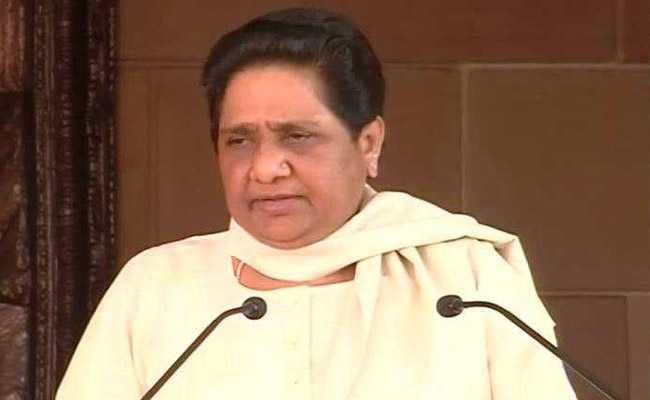 Ms Mayawati, who quit her Rajya Sabha seat last year, has declared support for the Dalit protests against a Supreme Court order that's seen as weakening a stringent law against atrocities on Dalits. Yogesh Verma, who represented Meerut's Hastinapur in the state assembly, has been detained. He is the "main conspirator" of the violence in the Dalit protests on Bharat bandh, news agency ANI quoted Manzil Saini, a senior police officer from Meerut, as saying. Meerut was one of the key towns that witnessed violence that seared five states on Monday, as Dalits hit the streets. In a string of towns across Uttar Pradesh, protesters bent on arson clashed with the police. 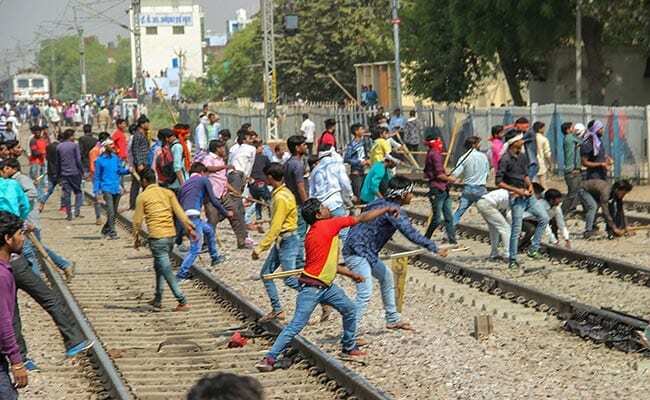 Two men died -- one in Meerut and one in Muzaffarnagar -- and at least 45 policemen were injured in the violence on Bharat bandh, reported news agency Press Trust of India. The government sent around 200 Rapid Action Force personnel to Meerut. Personnel were also sent to Agra and Hapur. Massive protests erupted across North India over the SC/ST Act judgment. The police were given a free hand by Chief Minister Yogi Adityanath to deal with the protesters. "More than 200 people have been detained and we are getting cases registered against them under National Security Act," ANI quoted Mr Saini as saying. Yogesh Verma was one of the 200 people detained. The 48-year-old lawmaker has a number of police cases, including that of attempt to murder, assault and rioting against him. Earlier on Monday, Mr Verma's ex-boss, Ms Mayawati, had said while her Bahujan Samaj Party is no longer in parliament, "our politics outside will force the Narendra Modi government to buckle under... Our party will not sit quietly if their (Dalit) voices are not heard." The Dalits are protesting against a recent Supreme Court order, which, they say, has weakened a stringent law that was in place to ensure their protection. The top court said the law had been used against government servants trying to do their duty and relaxed two of its provisions - ordering the stopping of instant arrest of accused and allowing them bail. The Dalits blamed the centre for failing to represent their side properly and sought action. The government on Monday filed a petition urging the court to review its order. Ms Mayawati said, "The review petition filed in the Supreme Court was critical, they took a lot of time to file it. Had it been done in good time, people wouldn't have had to come to the streets." The government said the matter is being "politicized".